Ichigo Kurosaki looks primed, ready for battle and adventure in this Bleach mini poster. 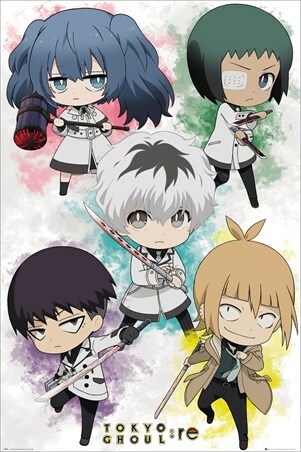 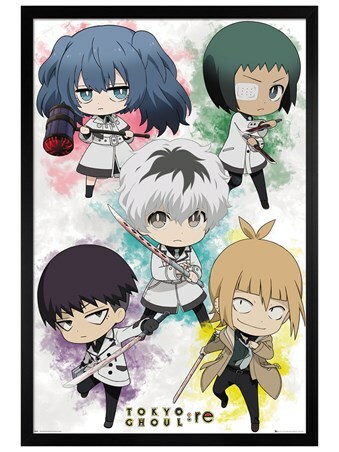 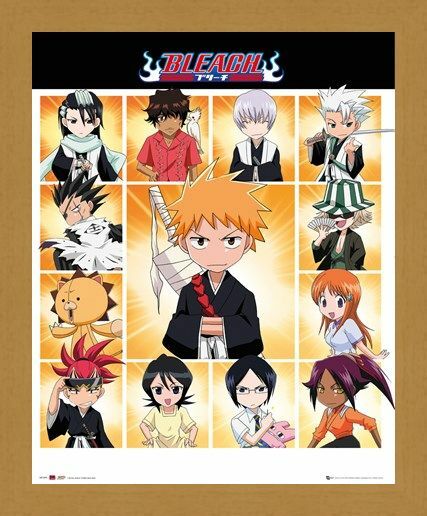 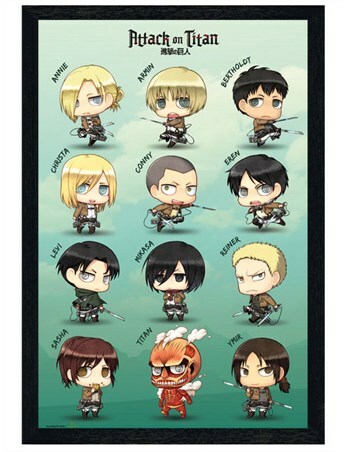 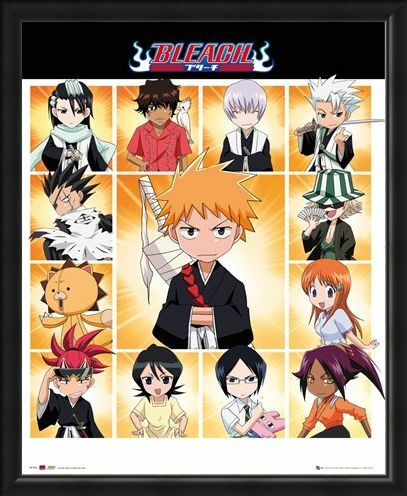 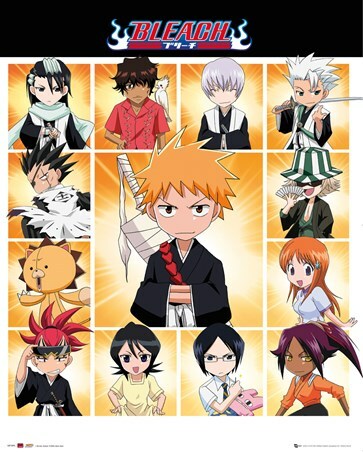 Surrounded by friends and foes, Kurosaki is presented in an endearing Chibi art style along with the other much-loved characters, such as Rukia Kuchiki and Byakuya Kuchiki. 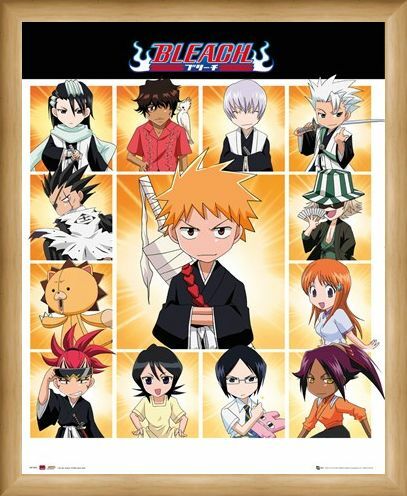 Looking almost innocent, the team sit collected on a bursting orange background. 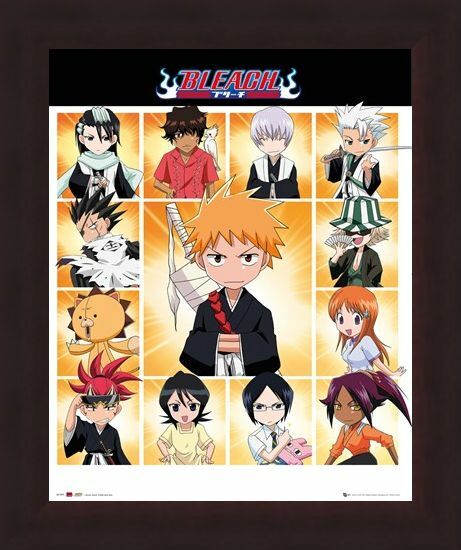 This extremely popular manga and anime series has captured the hearts of many fans, but has Bleach won a place on your wall? 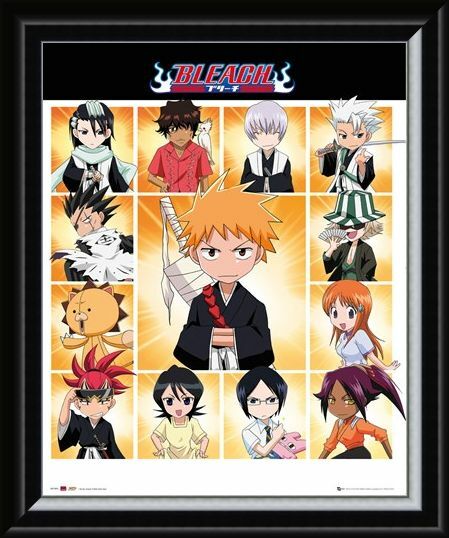 High quality, framed Chibi Characters, Bleach mini poster with a bespoke frame by our custom framing service.